"As a psychologist, my specialty since 2008 has involved supporting people who have recently recieved a diagnosis of dementia and their family members. I am very passionate about the brain, how it works, and what you can do do improve your current functioning. If you or a family member are experiencing memory loss, I am able to help you to take a planned approach to understanding a diagnosis of Mild Cognitive Impairment or Dementia, and to begin making choices that will support you to maintain dignity and the best quality of life throughout the progression of the disease. Call me on 0404 248 576, let's start working on how you can continue living an enriched, valued life today." 50% of Australians will have someone in their immediate family who has a dementia diagnosis, that's 1 out of 2 people. Every week another 1,700 new people receive a diagnosis of dementia, many more remain undiagnosed! In Australia today we have more than 332,000 people living with dementia. By 2050 that number will reach one million. Now is the time to improve our understanding of this devastating terminal illness. 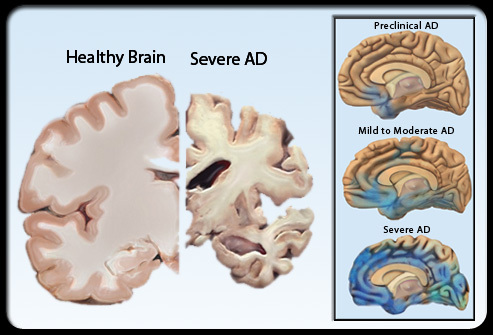 So, what is the difference between dementia and Alzheimer's disease? I enjoy metaphor. Apart from often being poetic metaphors engage different parts of the brain which enhances our understanding and learning. I had been wondering how I could simplify the answer to this question using a metaphor. Early one morning while I was in my garden watering our veggies I began to think about how the difference between dementia and Alzheimer's disease is metaphorically similar to the difference between plants and the various species. When we think about a plant, whether it be a zucchini vine or a basil bush, it has some basic qualities that don't really change: it has roots, leaves, flowers, requires sunlight, soil and water to live. And yet each variety of plant can look quite different, think about a passion fruit vine and a dragon fruit plant. They are both similar in that they require some form of trellis to grow on and yet they are very different looking plants. reduced ability to perform everyday tasks such as preparing a meal or mowing the lawn. If we continue using our garden metaphor, plants come in a range of different varieties: trees, shrubs, flowers, herbs and herbs and so on. Similarly, Alzheimer's disease is akin to just one variety of dementia. Vascular disease would be another variety. Korsakoff's syndrome would be another variety. Huntington's disease would be another. Researchers have uncovered over 100 different varieties or 'types' of dementia: different underlying causes of brain damage that result in the symptoms we see relflected in the changes in behavior and personality of someone who has dementia. When you or your loved one receives a diagnosis of dementia it can be helpful to understand more about what type of dementia it is. While the symptoms are generally similar for each type there can also be some significant differences. Remember that it is imperative that you consult a health practitioner if you have any concerns about the functioning of yourself or a loved one as there are many things that can be done early on to improve your quality of life. A diagnosis of dementia does not mean that life is over. For more information on this topic check out some of the books listed on our recommended reading page. There are also some brilliant websites with free resources including courses in your local community and on-line courses, check out our links page. At East Qld Counselling & Psychology our psychologists specialise in supporting people who are living with dementia and their family members. Call or text a psychologist today on 0404 248 576. We will respond within 24 hours with appointment availability in either Southport or Palm Beach, Gold Coast. Emergency appointments available most Saturdays in Palm Beach.